All desserts are made in-house. All our offered wines are bottled in BC. Tour Groups - Visit us from April to November for coffee or lunch! Please visit the Painted Turtle website for more information. 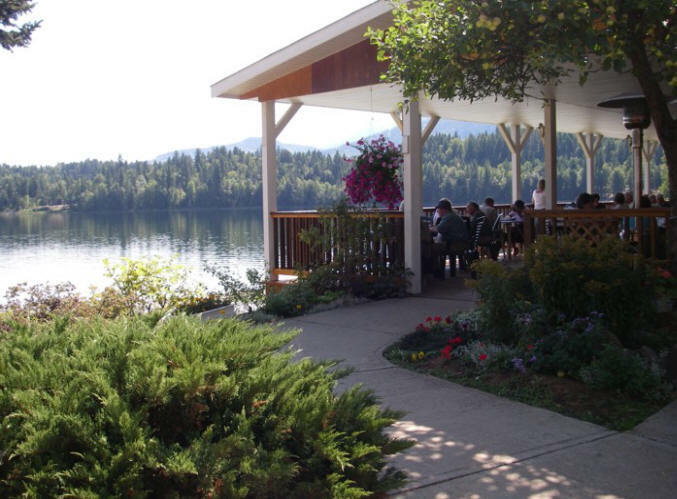 Dine on the lake in Clearwater, BC! Enjoy fabulous food while you take in the spectacular view of Dutch Lake. Bus Tours Open mid-April to mid-October for tour groups - please call or email to reserve your stop. Bus and coach tours are welcome at the Painted Turtle Restaurant for coffee and lunch stops. Let your passengers dine on the open air sundeck and then stretch their legs as they enjoy the scenery of Dutch Lake. Please call 24 to 48 hours in advance to book your group (1-866-674-3566) or email chris@dutchlake.com.